Finally got around to reading this and what a top adventure. Initially thought the ruminations of someone living alone one an island alone 24 of 28 years might be a struggle but its not. 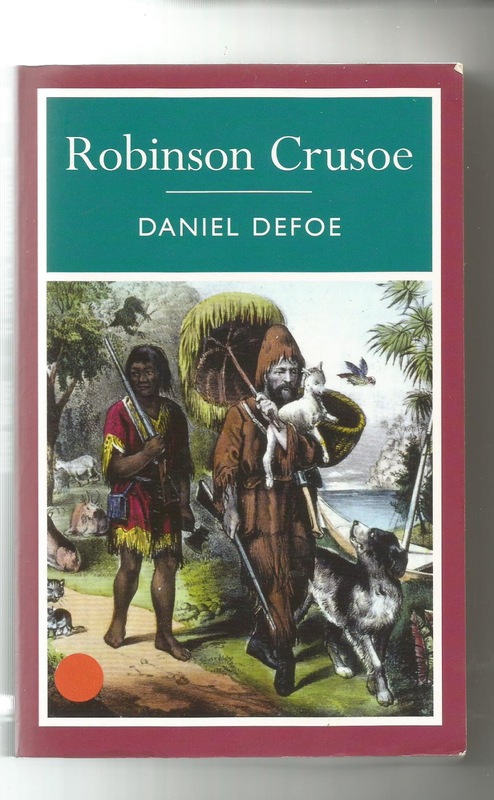 Crusoe had several adventures prior to being ship wrecked, in fact he's so unlucky if you knew he was getting on your boat you'd wait for a later sailing. Our hero is never content , instead of settling for a comfortable life at home he insists on taking risks and this is how he ends up on his island. Its great reading how he copes and sets up his life and ends up living alone for 24 years before life comes back to him. There is much introspection and it his faith in God that sees him survive. This novel is 300 years old and God was still a big part of this in the early 18th century. This is seen as the first English novel and reading it is highly recommended, its never dull.